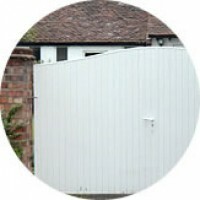 For over 10 years Plastil have been providing maintenance free alternatives to traditional gates, fences and decking. Our exclusive high quality systems are available in a range of attractive styles and formats that complement any home be it in the town or country. 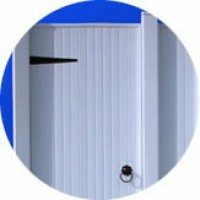 Our thermo-plastic gates can be used as an alternative to wooden gates, metal gates, aluminium or hardwood variants. They all come complete with high quality hinges, handles and locks or latches. Installation is made easy by the use of adjustable hinges and expert fitters are available (if required) as part of our service. Our products are manufactured in hardwearing uPVC (with integrated aluminium frames where necessary), and do not require any painting, varnishing or maintenance apart from an occasional wipe down with a damp cloth. We provide a bespoke manufacturing service ensuring your installation is completely fit for purpose. A complete range of attractive, easy to fit maintenance-free gates and fences for every home. 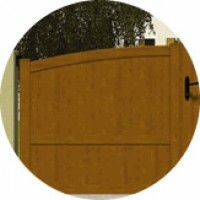 A bespoke range of attractive maintenance-free gates and fences tailored to your requirements. A stunning range of maintenance-free gates and fences in a variety of finishes and designs to suit any project.